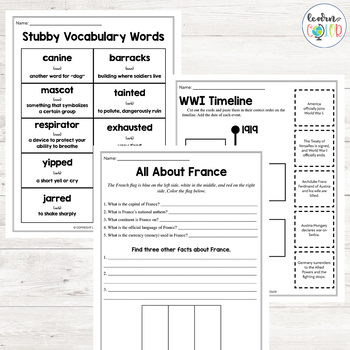 Learn about World War I through the story of a brave dog! 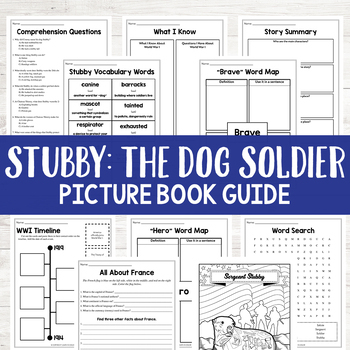 This study is based on Stubby: The Dog Soldier World War I by Blake Hoena, based on the Animal Heroes series. Sergeant Stubby was the real-life mascot of the 26th division. 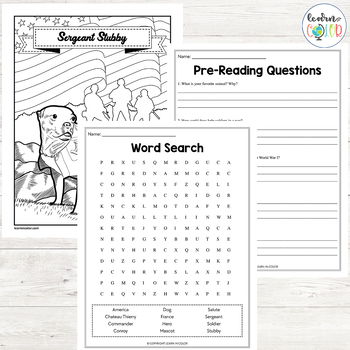 This is a simple introduction to World War I, animal heroes, or animals in wartime. 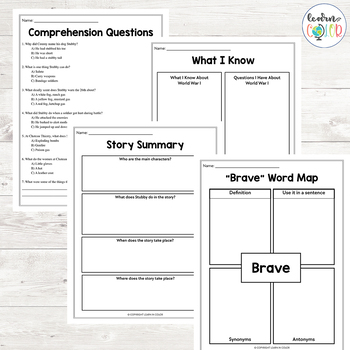 There are 10 pages included plus an answer key. This was adapted from the study I made for Rags: Hero Dog of WWI Study. Activities are very similar, some are identical.